This weekend marks the return of one of the summer staples and one of the most competitive events of the year. 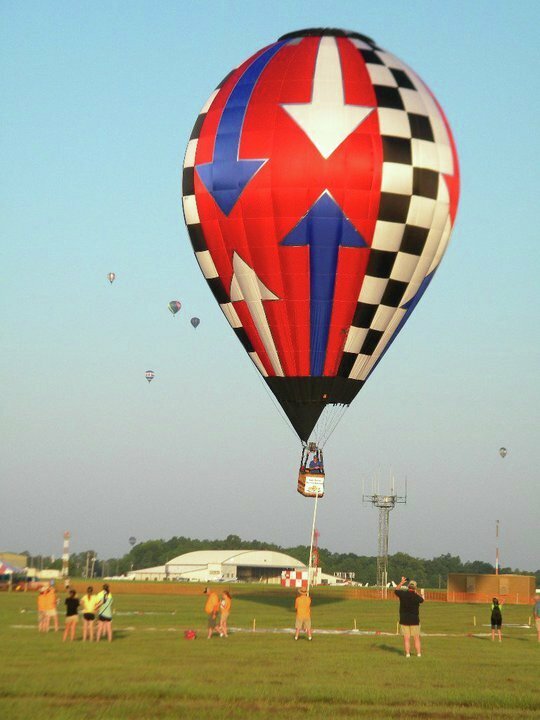 A field of 50 pilots will compete for a share of $35,000 plus a separate prize package allotted for special shapes. 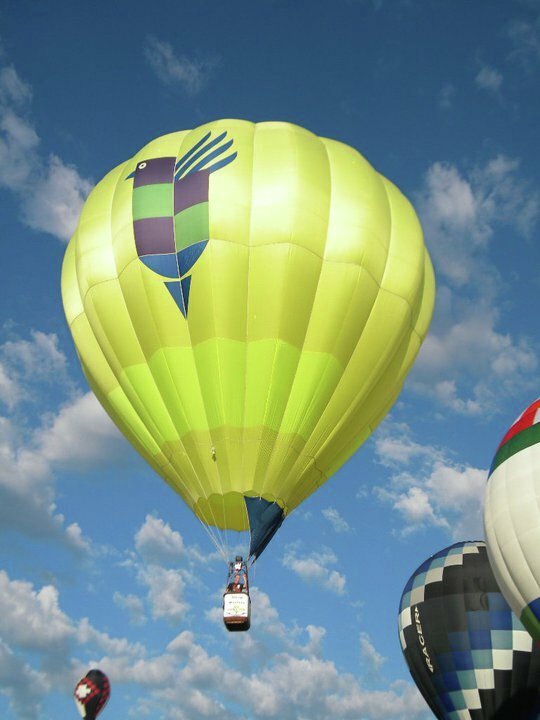 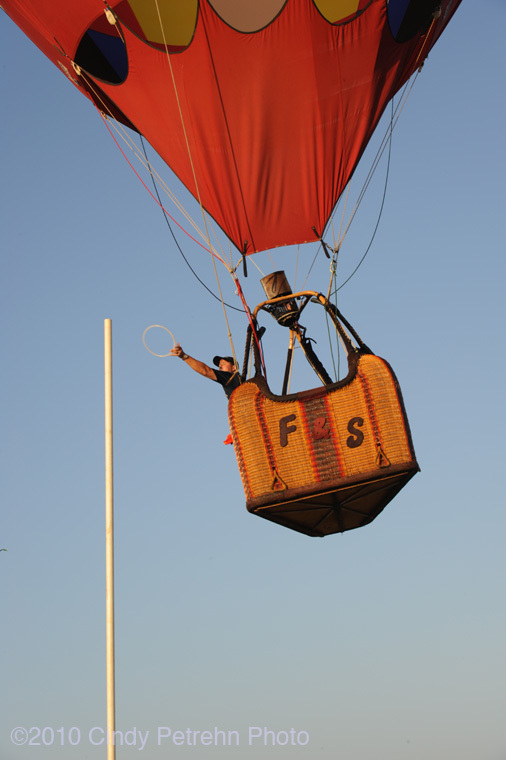 In addition to the 50 sport balloons, and 8 special shapes in this year's field John Ninomiya will be joining the event in his cluster balloon for flights Friday and Saturday evening. 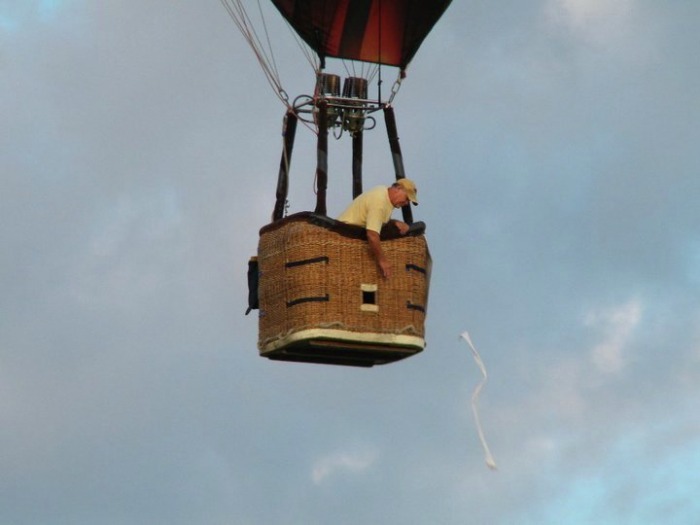 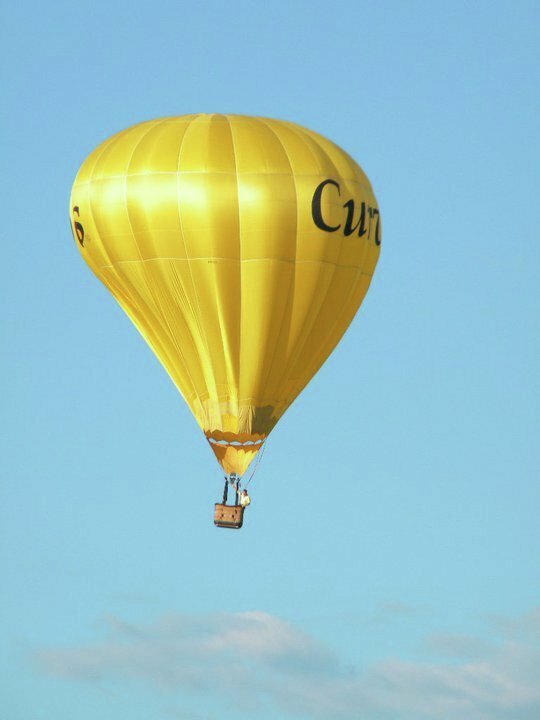 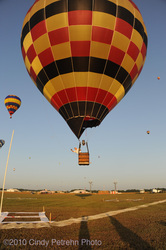 The cluster balloon should be a welcomed addition to this event with a rich history. Over the years this event has had key grabs as much as $50,000 and paid out over $1 million to participating pilots. 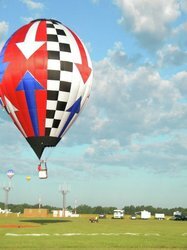 This year each pilot is guaranteed at least $250, which should help offset some of the travel expense. The event gets kicked off with registration and a welcome party/ meet and greet with sponsors on Thursday evening followed by competitive flights Friday, Saturday, and Sunday morning. 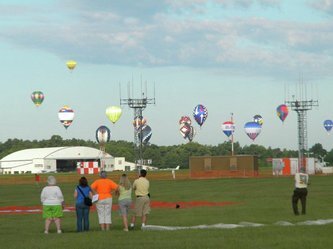 Pilots will also be participating in a pre-concert glow Friday and Saturday evening to help put on a show for the anticipated 30,000 patrons throughout the weekend. 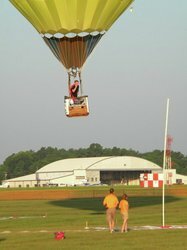 Pilots were greeted this morning in Longview by a task sheet that contained three tasks: Fly-in, Judge Declared Goal, Judge Declared Goal. 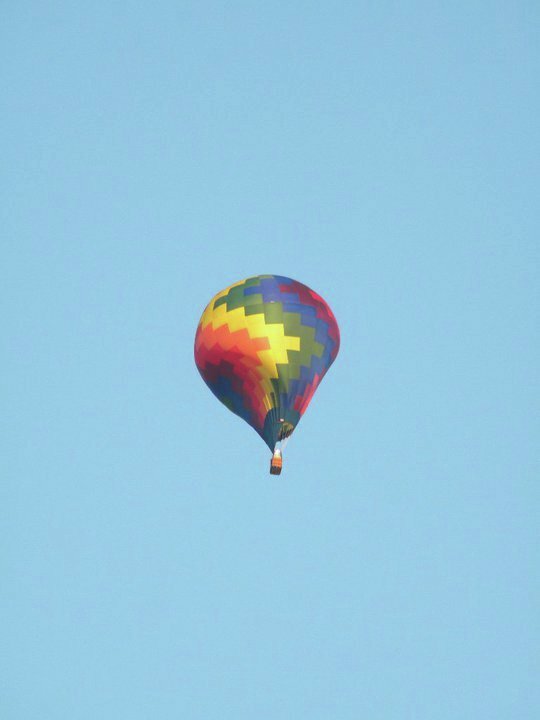 Conditions were perfect for a typical Longview summer flight with brisk winds at about 1,000 ft. AGL and a nice left hand turn on the surface that faded towards the end of the flight. 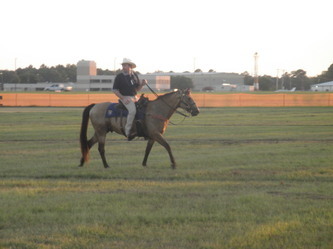 Steerage was great for the early pilots and hit and miss for most at the last target. 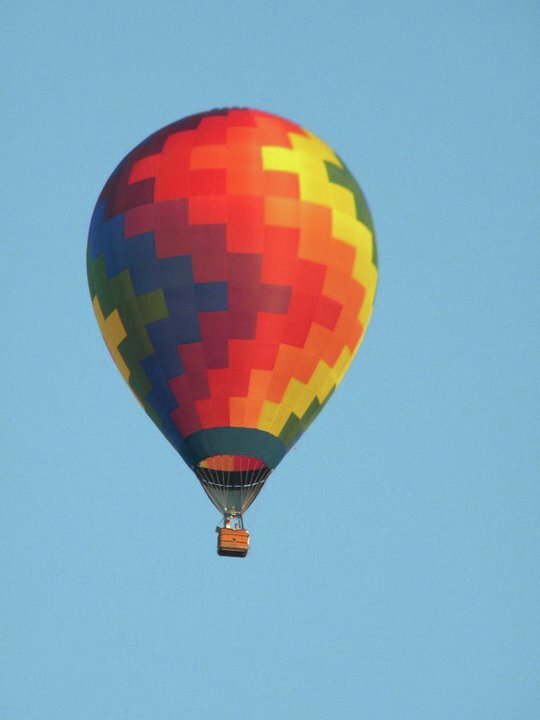 Expect some really good scores as they become available. We've already had rumors of multiple 0.0m, or perfect drops. 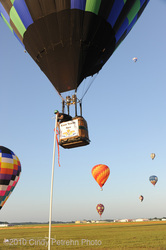 We'll be adding pictures and video throughout the day as we compile them so stay tuned. There are only glows scheduled for the evenings in Longview. 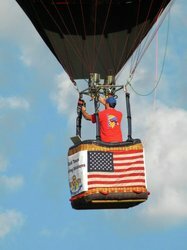 Below, Bruce Bussey flies the American flag during the National Anthem. 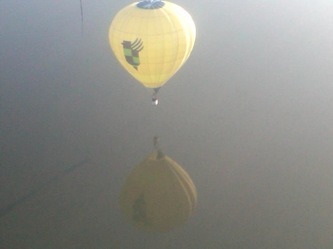 Great competition weather this morning in Longview. 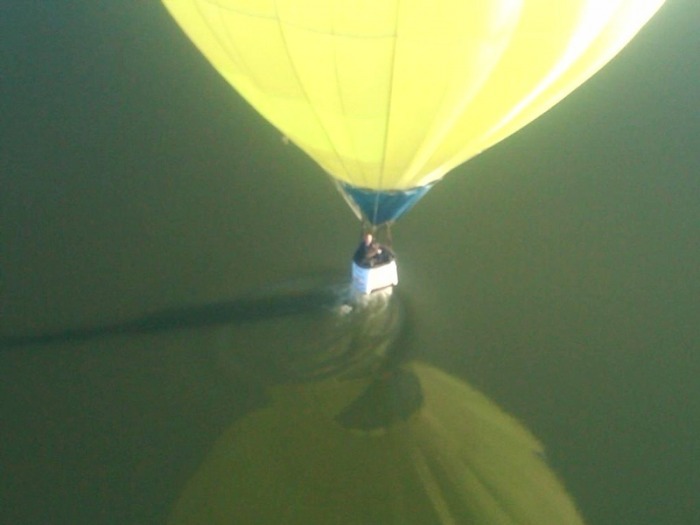 Winds were brisk at about 1,000 ft. AGL out of the southeast, but below that there was a nice left hand turn on the deck. 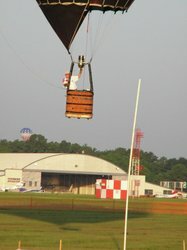 A three-part task was called (Fly-In, Gordon Bennett, Multiple Judge Declared Goal). 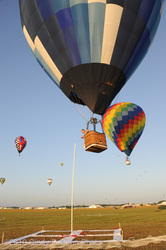 The Fly-In and Gordon Bennett targets were located on the airport grounds. The Gordon Bennett was in the shape of a baseball diamond where 1st, 2nd, and 3rd bases were scoring areas along with home plate. 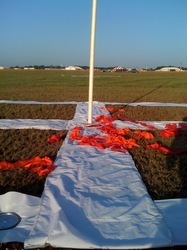 The "X" for the Fly-In was located on Home plate and was the best scoring area to be in. 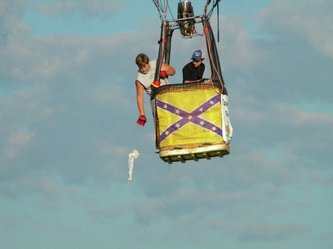 Pilots could also throw their baggies anywhere inside the "baseball park" and still receive a result, but their baggie would be measured to the nearest base and then to home plate. Clearly the pilots who scored best placed both baggies near or on home plate. 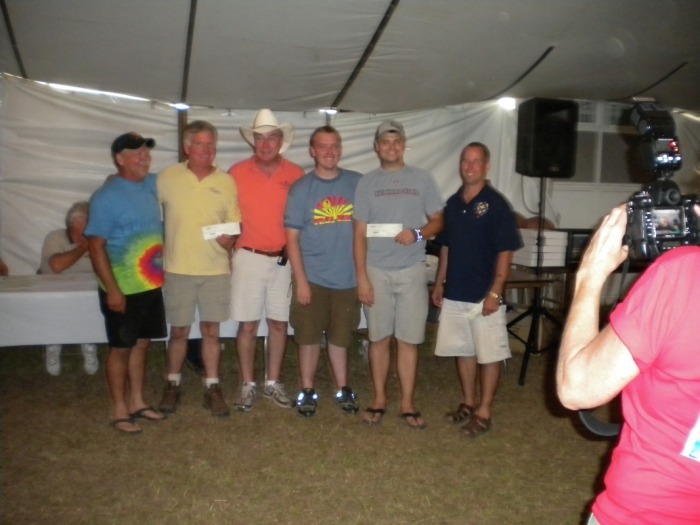 In an illustration of how great the weather was in addition to a talented field of pilots as many as 5 pilots were able to put their ring aroung the pole to claim a share of the $5,000 pole purse. 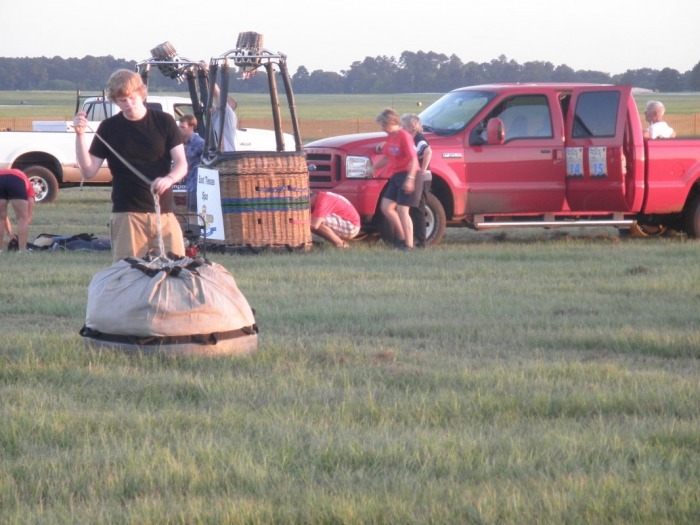 The Multiple Judge Declared goal was located just a few kilometers from the airport and required pilots to climb quickly to get some right and then descend back down quickly into the scoring area. 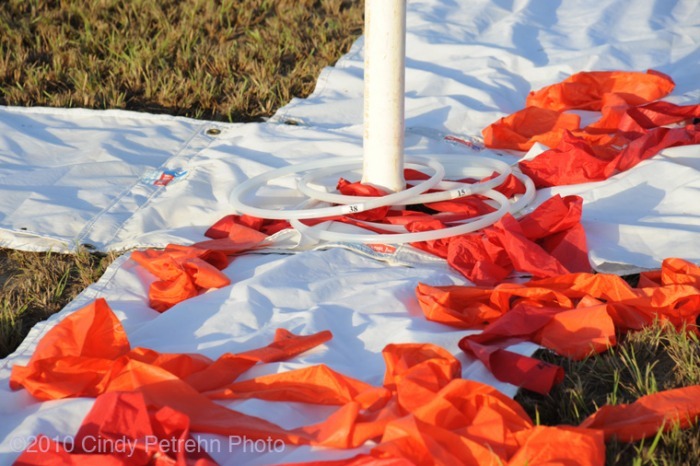 Look for pictures, videos, and scores soon. 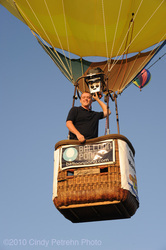 On board with Joe Zvada. 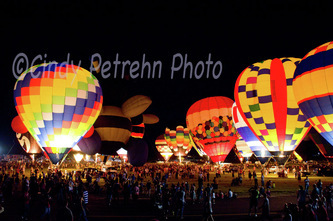 This is what the kids call "pong'n it"
Glow tonight in Longview. 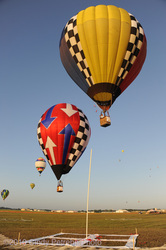 Competition concludes tomorrow morning. 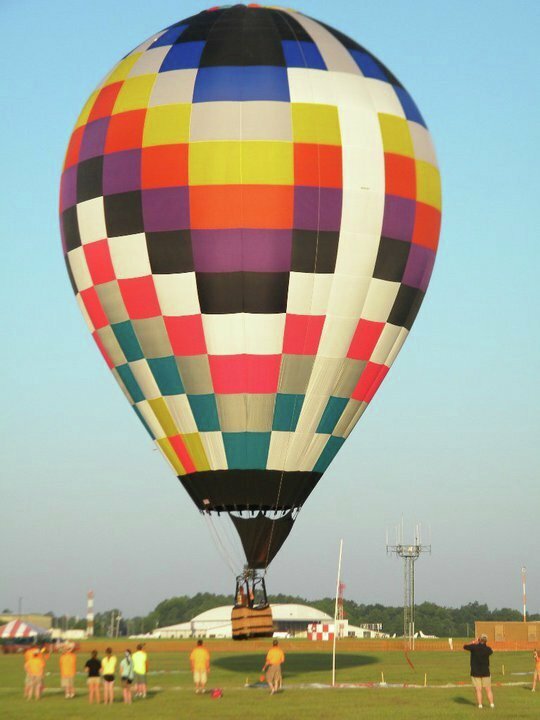 Stay tuned for updates. 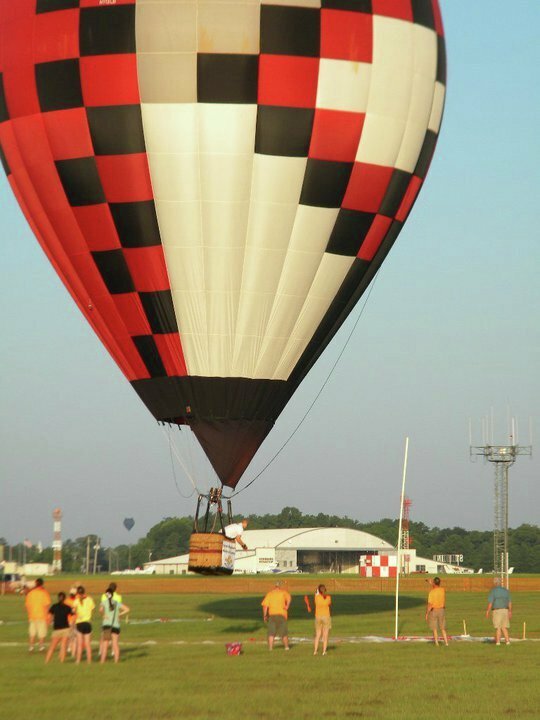 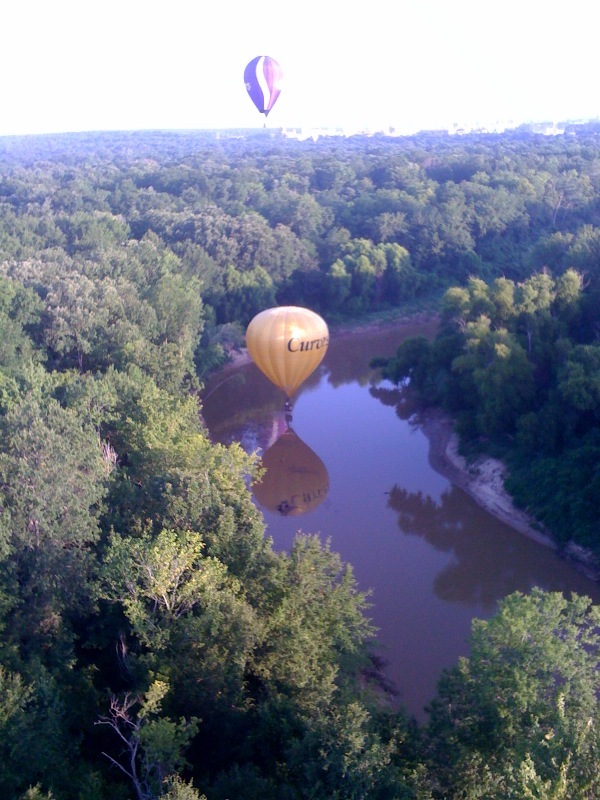 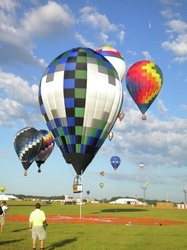 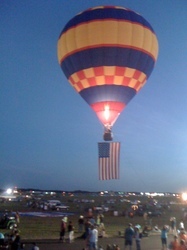 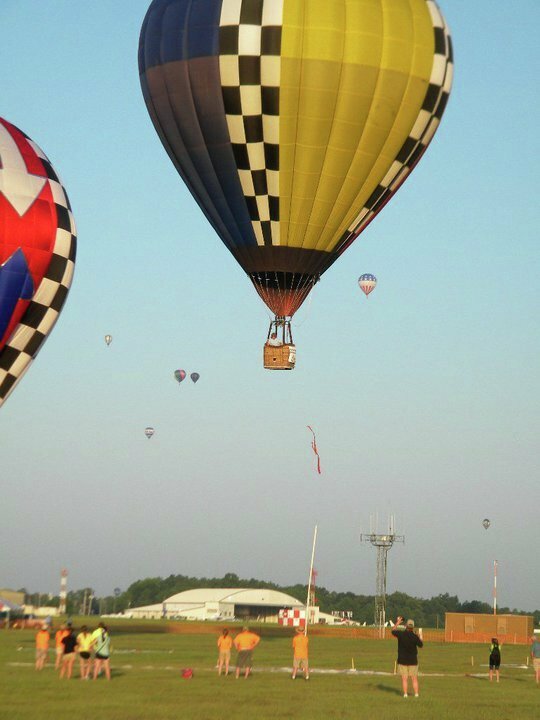 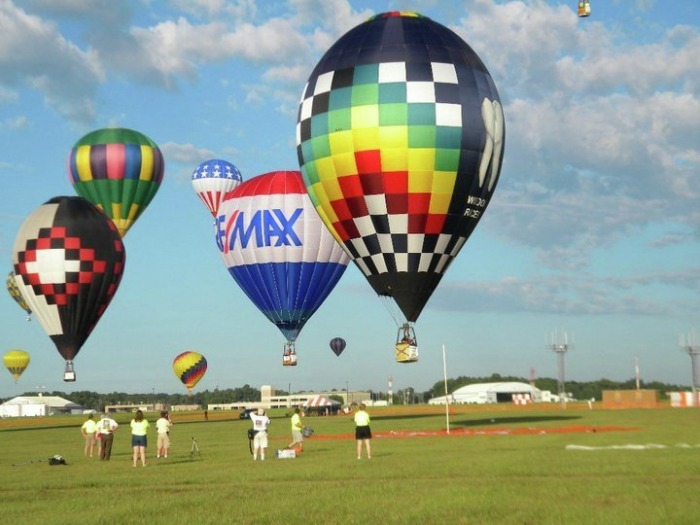 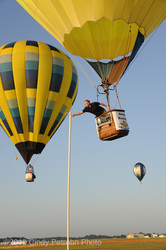 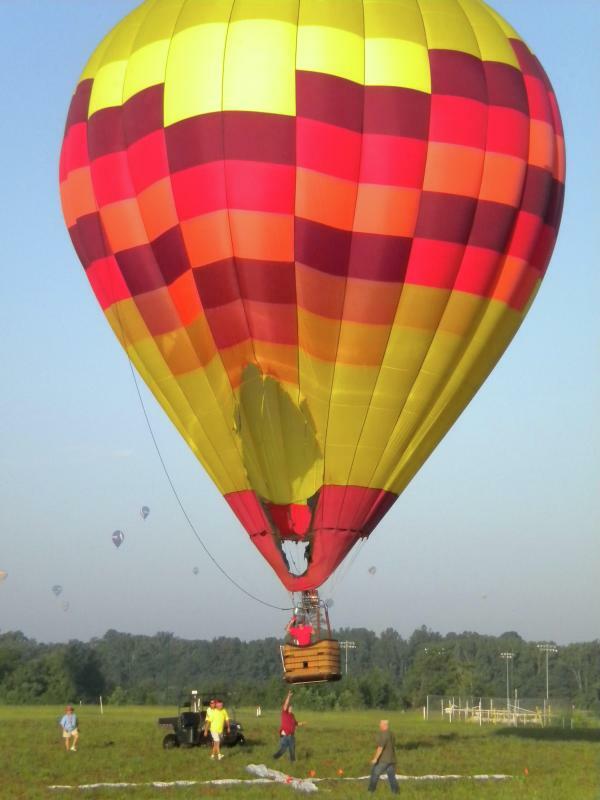 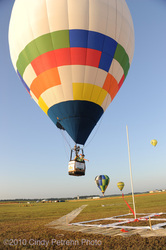 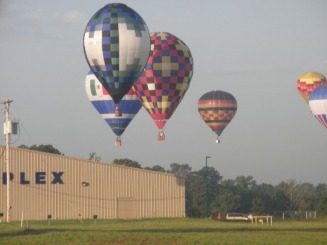 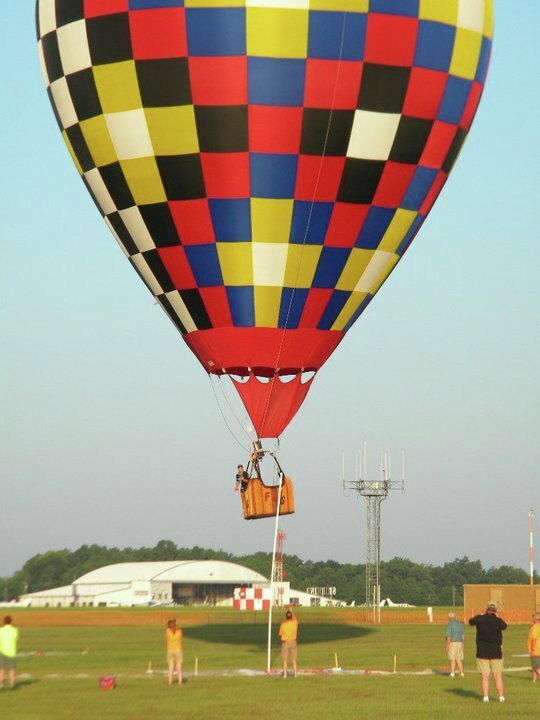 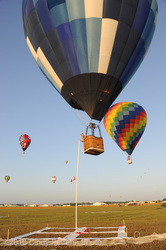 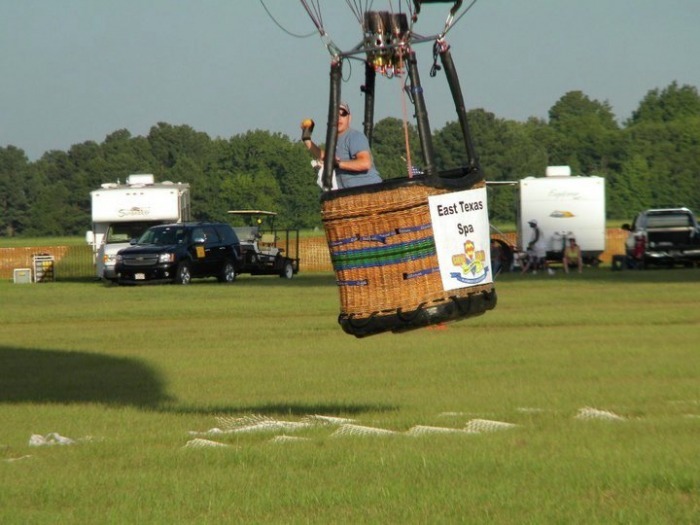 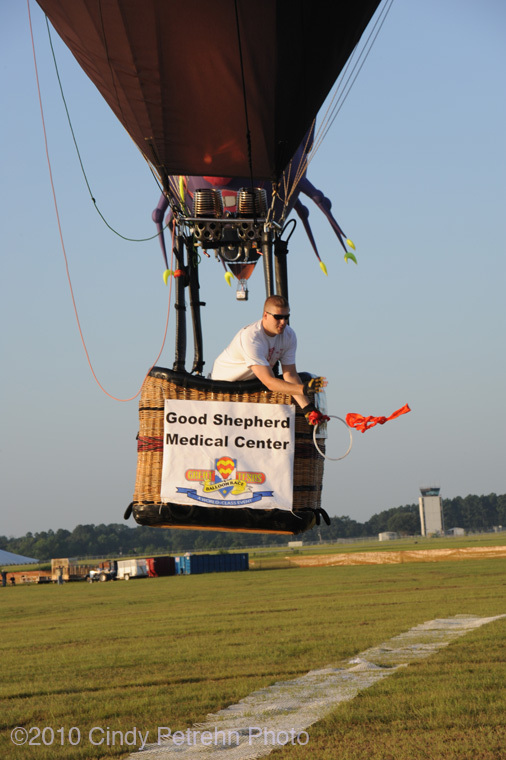 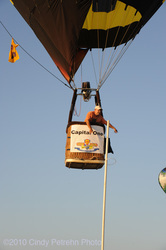 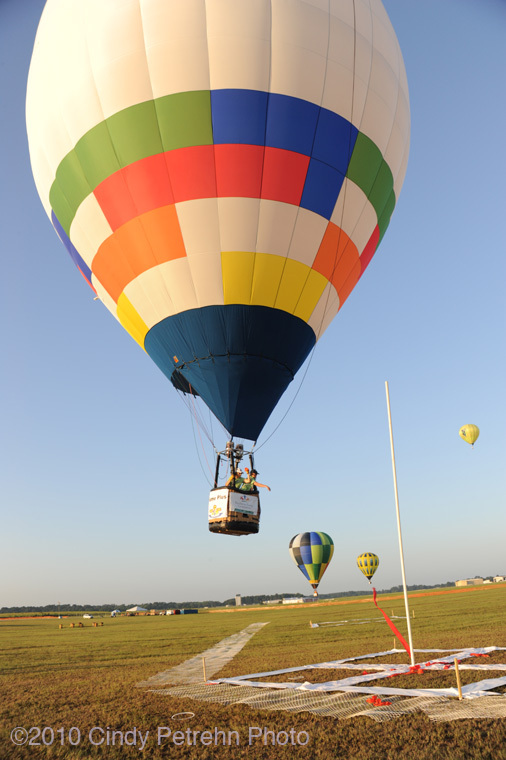 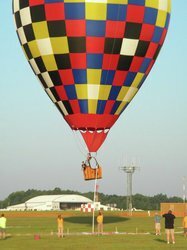 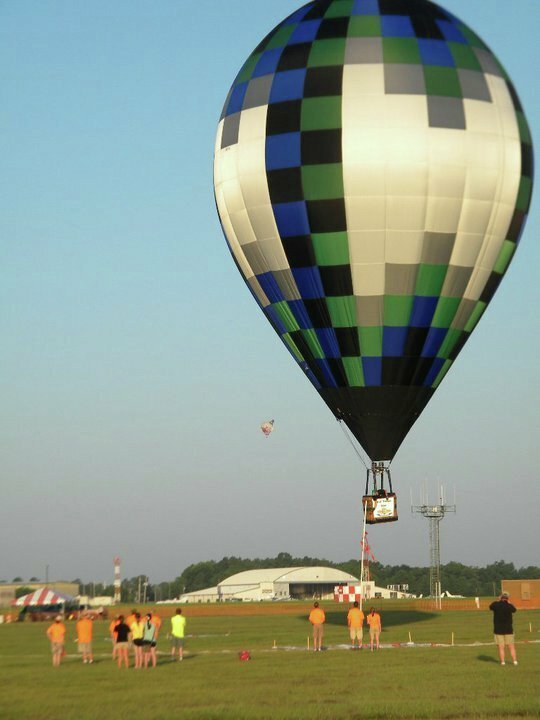 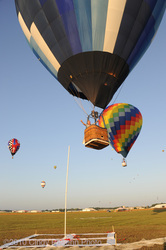 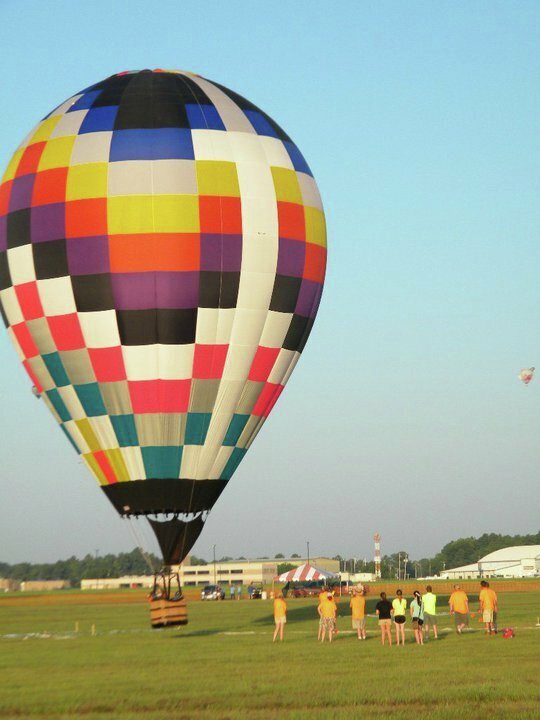 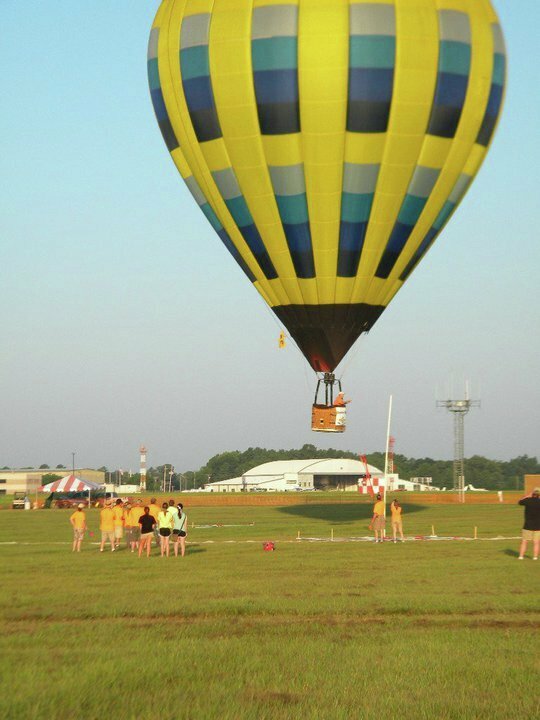 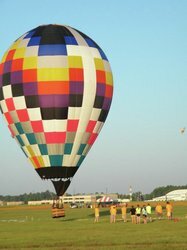 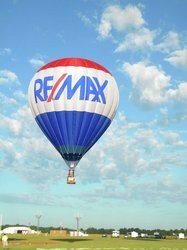 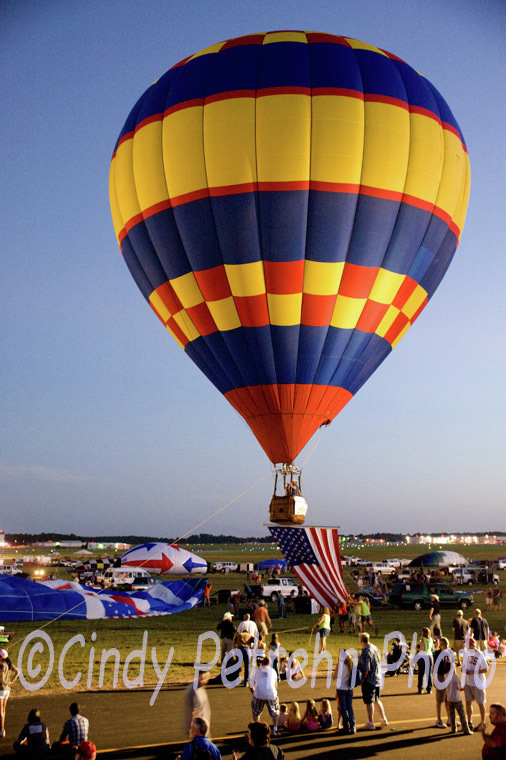 The final competition flight of the 32nd Annual Great Texas Balloon Race took place this morning in Longview, TX. 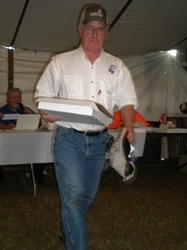 Competition Director, Jim Birk, called a FIT, MXDD, and a JDG. 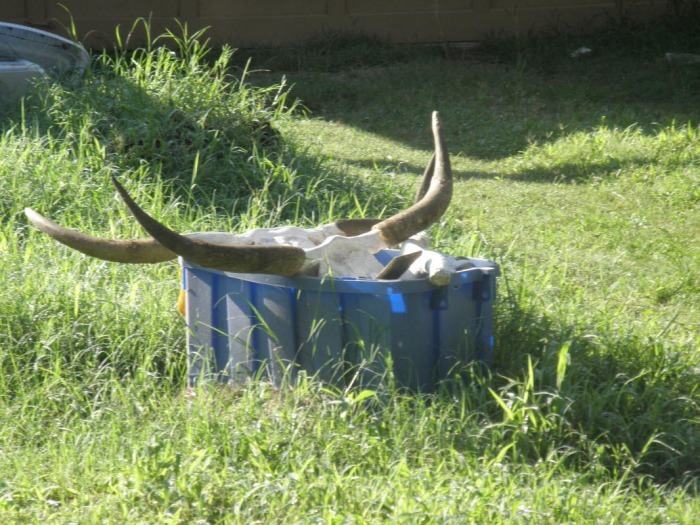 The FIT and MXDD was located at the airport and the JDG was about three kilometers to the east. 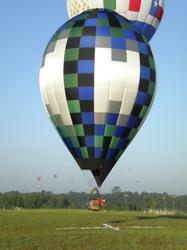 Early morning cloud cover made the winds variable with little steering. Pilots had to make their best guess on the winds and hope for the best. 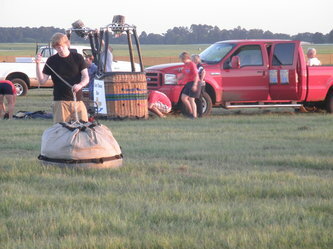 Fortunately for most, the clouds moved out about halfway through the flight and the winds became very steerable. 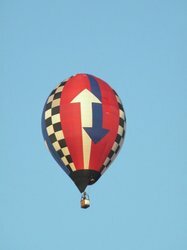 The Max Distance Double Drop (MXDD) involved throwing a marker in two separate shapes. 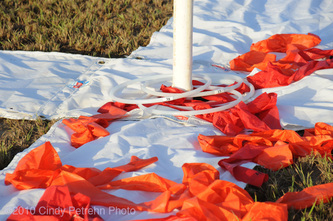 The shapes laid out on the field were a full moon in the center with a crescent moon on either side. 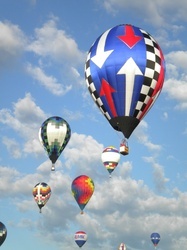 The best result was to place a marker in each of the crescent moons. 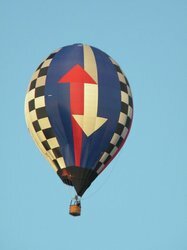 The Fly in Task (FIT) was in the center of the full moon shape. 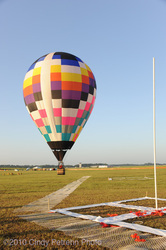 Pilots had to throw three markers and try to ring the pole in a matter of seconds. 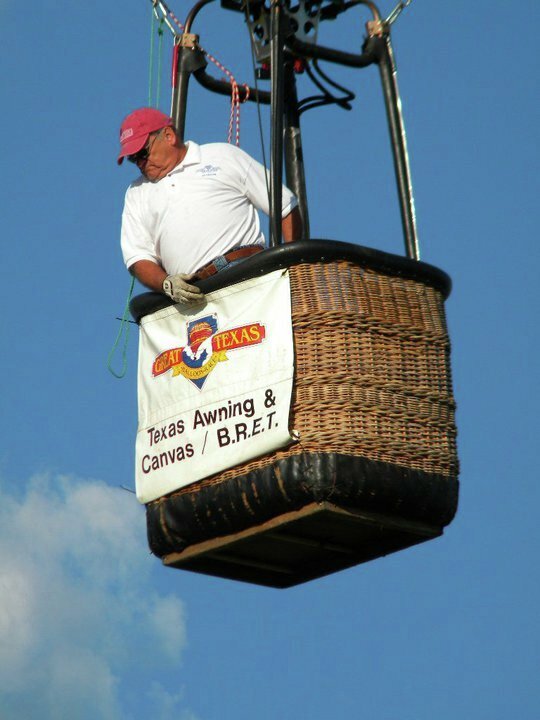 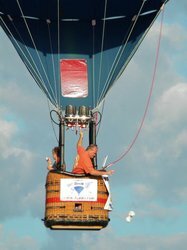 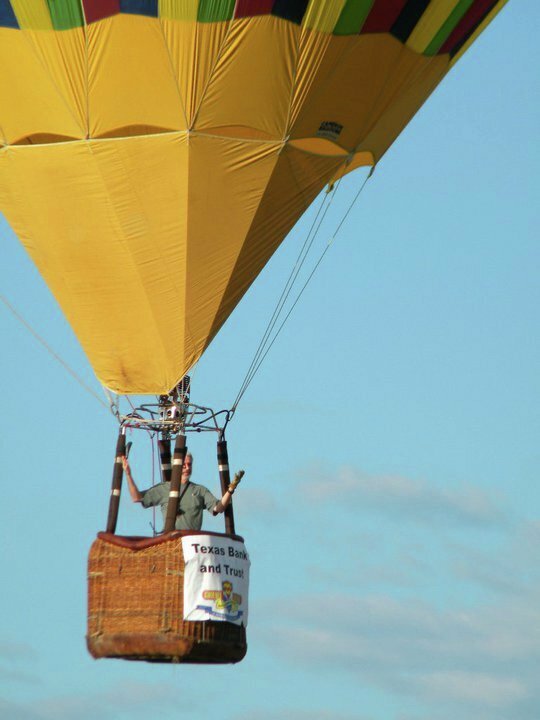 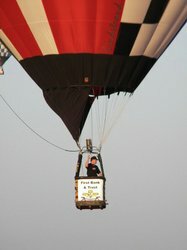 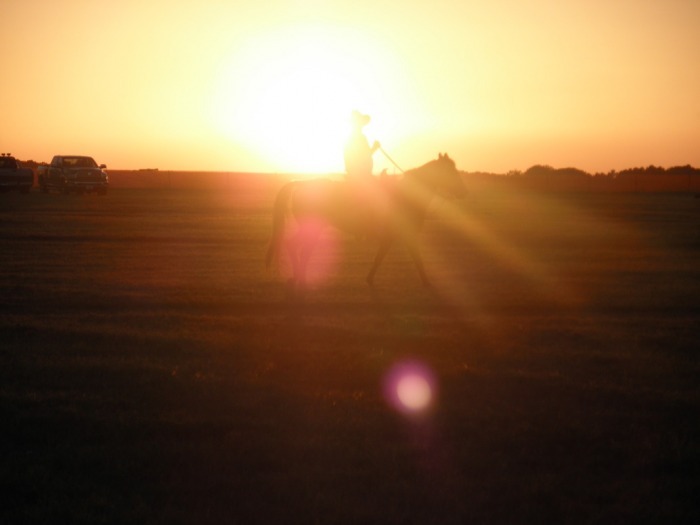 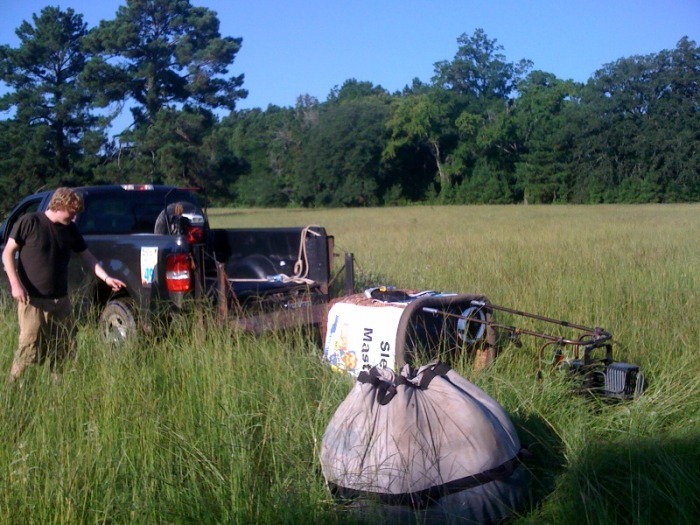 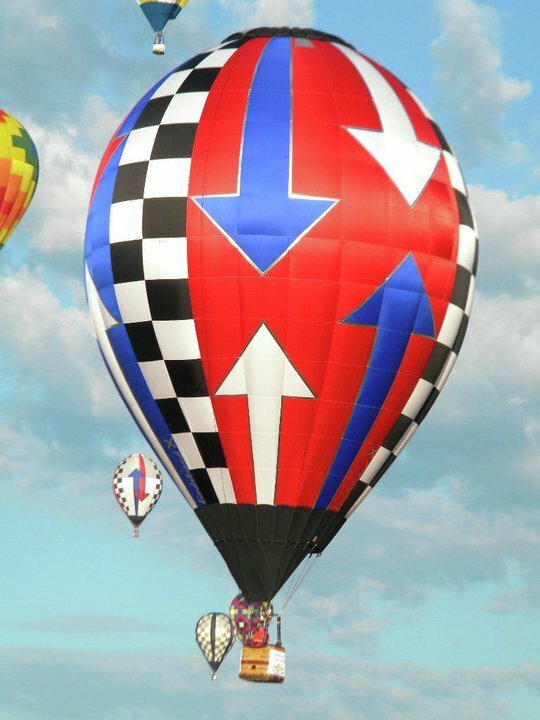 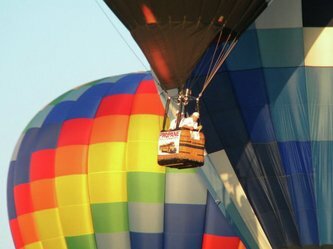 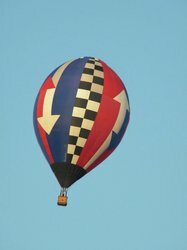 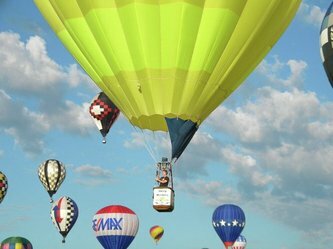 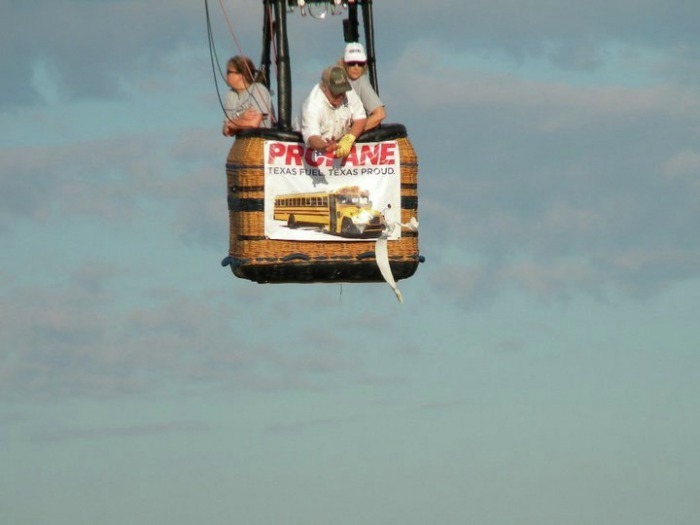 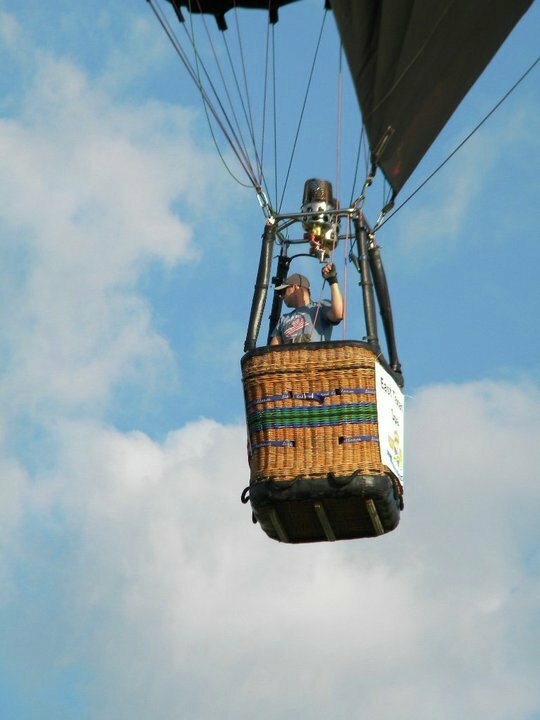 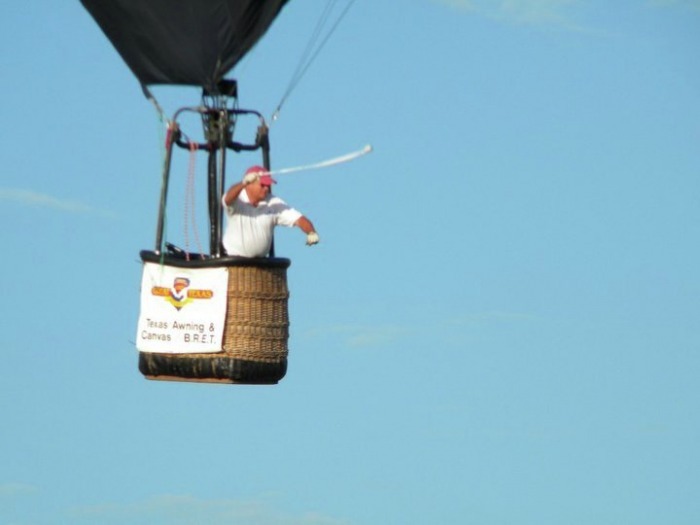 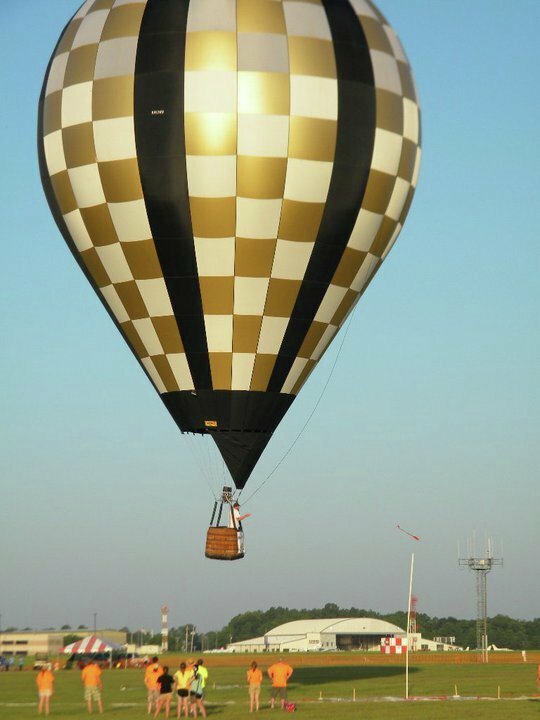 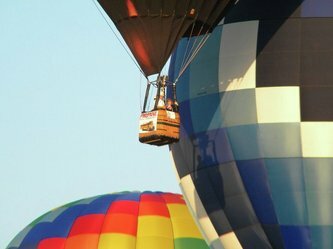 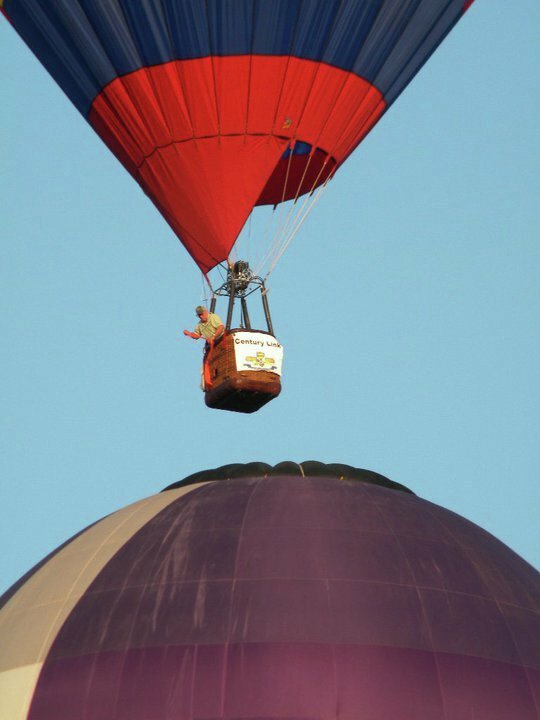 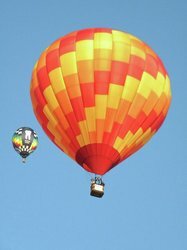 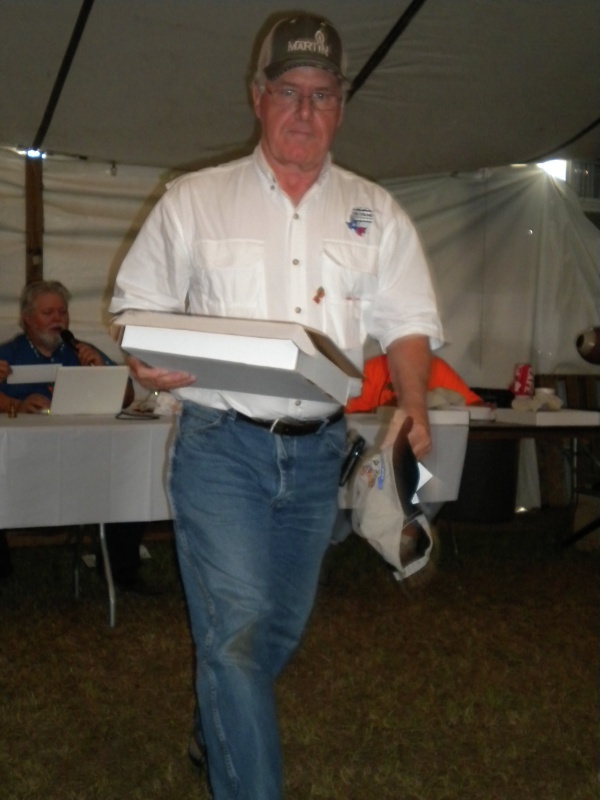 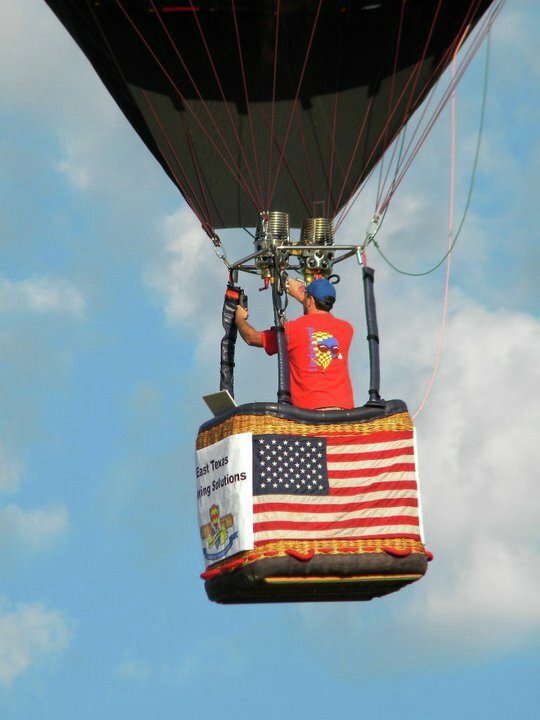 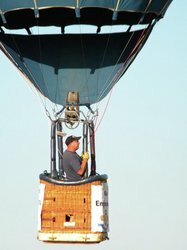 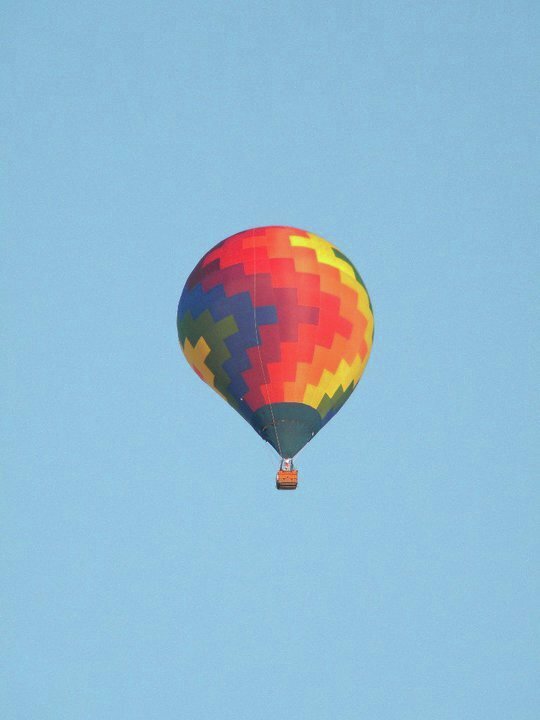 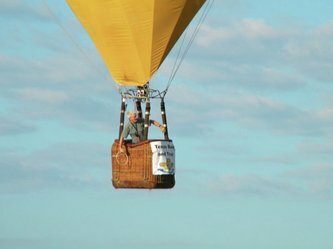 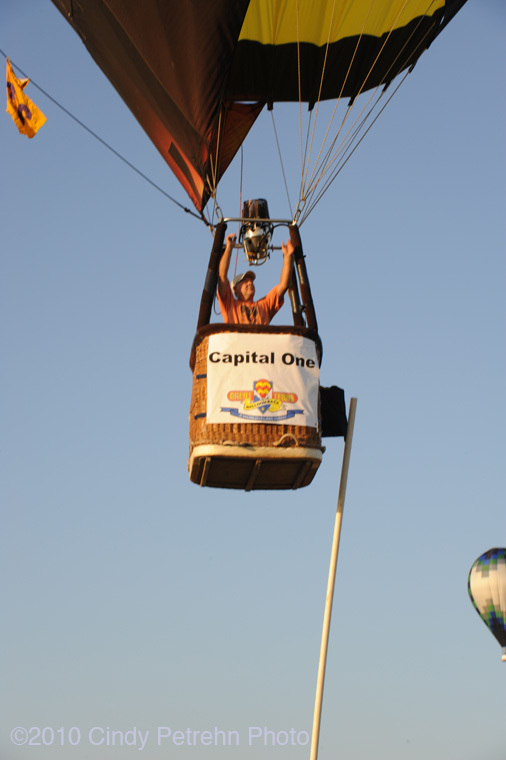 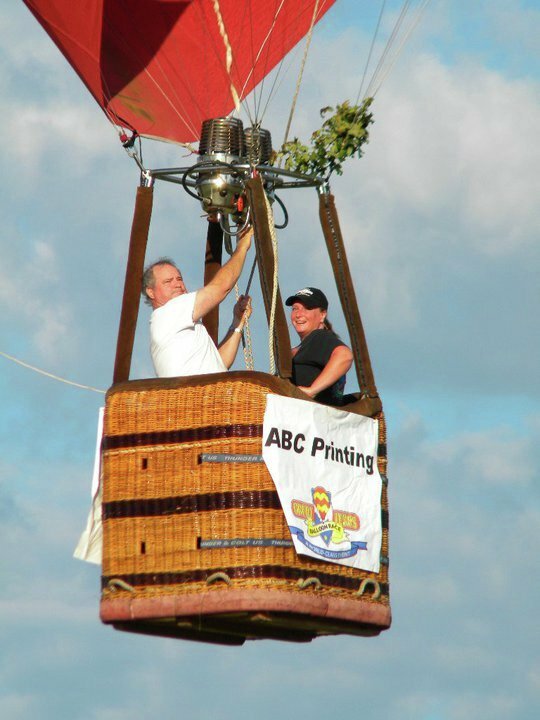 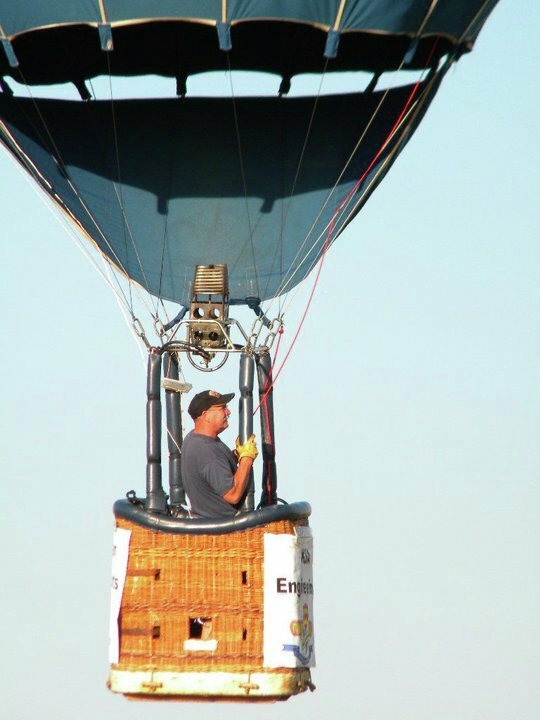 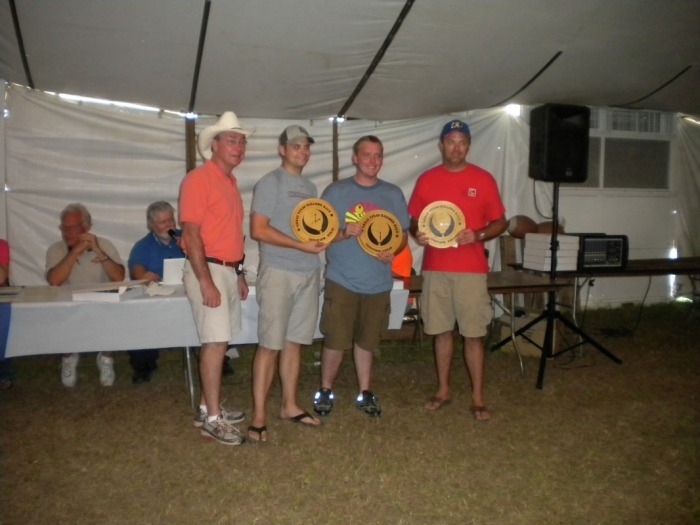 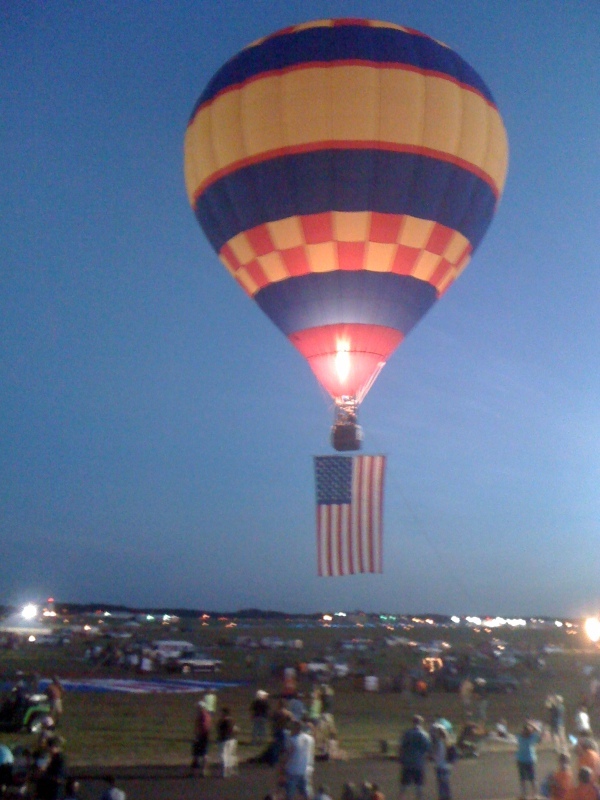 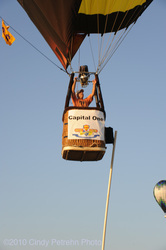 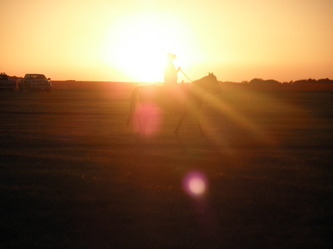 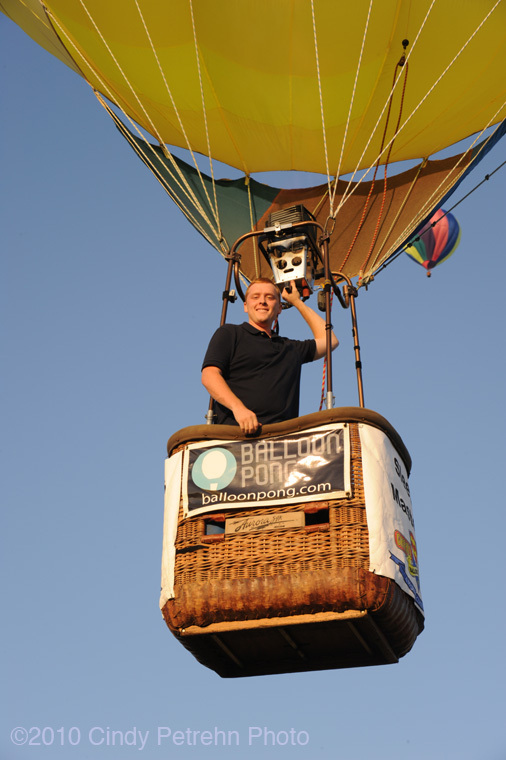 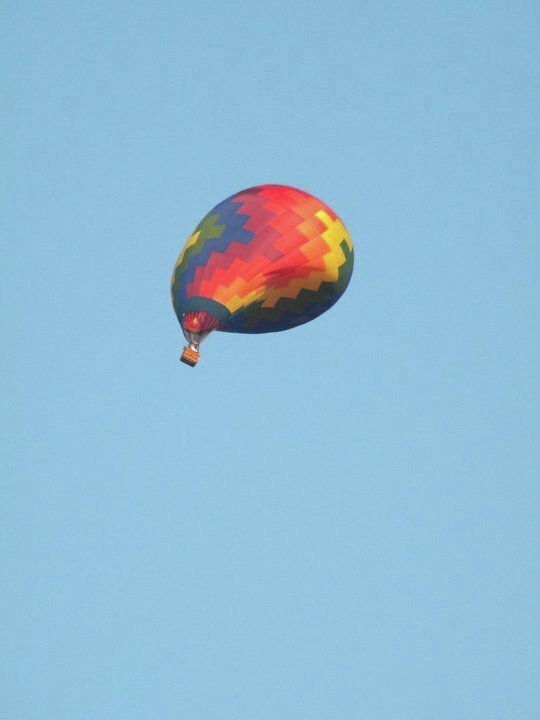 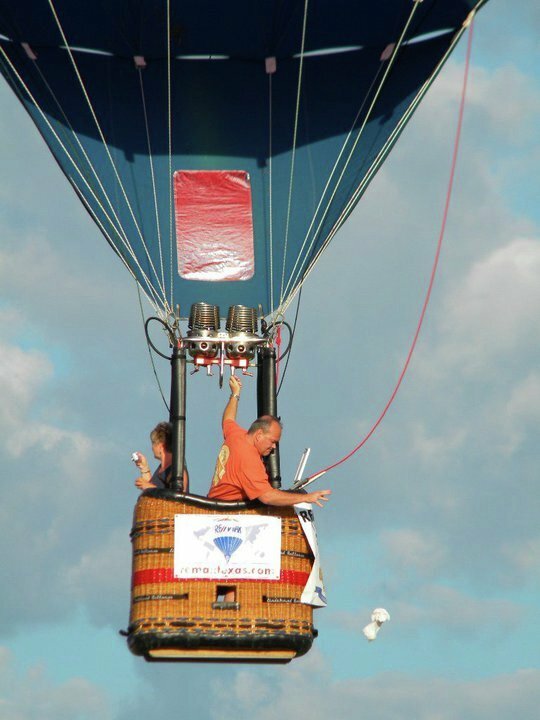 In the end, nobody could catch Nick Donner as he led from start to finish and won the 2010 Great Texas Balloon Race, and $4000, for the forth straight year. 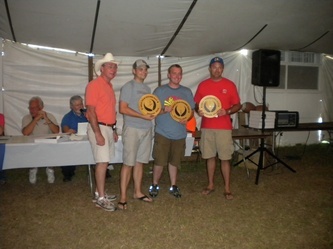 In second place was Joe Zvada, winning $2500. 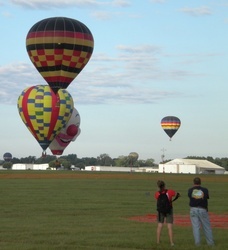 Zvada just barely squeaked by Johnny Petrehn during the final flight this morning. 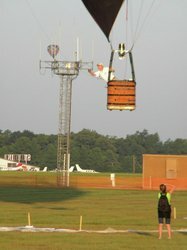 Johnny Petrehn finished third winning $2000..
Nick Donner's approach to the final task of the GTBR 2010. Great flying Nick! 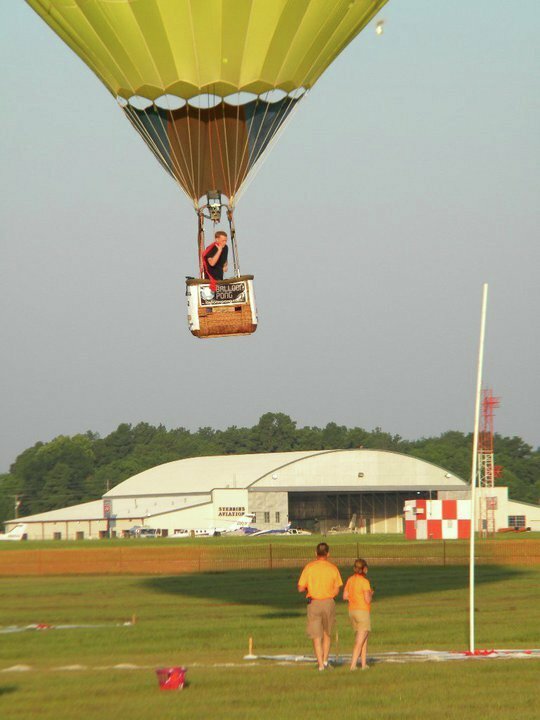 Approaches by pilots in the GTBR to the final task of the weekend. Narrated by Nick Donner.